This topic contains 0 replies, has 1 voice, and was last updated by Teesh 6 months, 2 weeks ago. 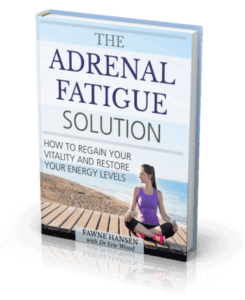 I am currently dealing with my 2nd Adrenal crash. The first one happened 3 years ago after a very stressful job, too much drinking and poor sleeping habits. I battled for months, but I changed my lifestyle and eventually did get better. Recently, as I have taken on more stress and travel for work, I am noticing old symptom’s rearing their ugly head in the form of low blood sugar, midday crash, etc. I am committed to getting better and have taken 2 weeks off to rest. I never took the Cortef (cortisol) because people said that was liek a band aid on a bullet hole , and I am committed to healing my adrenals. But, I am wondering what experiences have been like with an anti depressants? I am considering a small dose to deal with the depression that comes along with not being able to work out, travel, etc.